Første smakebit fra amerikanernes kommende skive. 'The Wings Of War', sjekk cover og tracklist her. Release er 22.02.18 via Nuclear Blast. "It was a blast making The Wings of War! It is something old feeling new again, as our chemistry was altered by the addition of Jason Bittner. I was curious from the get-go, how would it pan out? I think what we accomplished here is a new, upgraded Overkill that embraced the new chemistry, while taking our roots into the present. The new formula produced not only more raw power, but more places to go with melody, a win, win. The key is being not only interested in the change, but part of it. 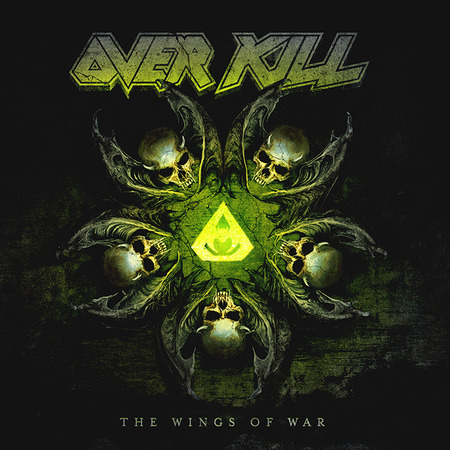 I'll tell you what, it's still fun as hell making Overkill records."